By the latest count there are 1,542 billionaires worldwide, 560 of whom live in the United States. There has never been a cohort of so many billionaires in the world before. It is a mistake to lump them in with the millions of ordinary millionaires that we think as being rich. There is a huge difference between billionaires and millionaires in wealth, in power and in their world view. Consider this: Two stacks of $100 bills pilled as high as your knee equals a million dollars (each bill is .0043 inches thick). Two stacks of $100 bills pilled as high as the Empire State Building equals a billion dollars. Most millionaires, on the other hand, start out as hard working folk on whom good luck has smiled. You can't accumulate a million bucks without good health, good timing and other matters of chance. Millionaires, however, will often say they don't believe in chance. They will say they earned what they have through persistence, hard work, education, bright ideas and going that extra mile, which is all true... so long as their good luck doesn't run out. How many millionaires are there? In 2014 it was estimated that there were 920,000 new millionaires created, bringing the global total to 14.6 million. At that rate there would be no fewer than 18 million millionaires today. The problem for the rest of us is that the more knee high stacks of $100 dollar bills millionaires have, the more they benefit from the tilted playing field created by the vastly wealthy billionaires. More importantly, the richer they get the more they begin to act as courtiers to the royally rich. The majority of our elected federal officials are just these sorts of millionaires. Billionaires are immensely powerful. The majority of them inherited this wealth and power, much like royalty. And like royalty, most of them feel entitled and especially worthy of their rank and position. Many of them think government and our social institutions should reward them , so they tilt the playing field to accelerate their capital growth. People becoming millionaires is generally a good thing for the economy, for job growth and national GDP. The problem with millionaires arises when they fall under the influence of billionaires. The the more knee high stacks of $100 dollar bills millionaires have, the more they like the tilted playing field created for them by billionaires. More importantly, the richer they get the more they act as courtiers to the royally rich. It's more than a fascination, it becomes an addiction. The majority of our elected federal representatives are millionaires who engage in just these sorts courtier activity. The world is rapidly approaching the point where a single multi-billionaire could control enough wealth to directly compete with national governments. We are already beyond the point where even loosely coordinated actions among billionaires can sway or defeat the popular will within nations. On example of their power is the "death tax" movement to eliminate the U.S. Estate Tax. As a percentage of the population, federal inheritance taxes affects very few families, just 0.2% of the population. The push to kill the death tax was created and funded by just a handful of super wealthy families. Billionaires want to secure their children's right to succession of their money and power. The Estate tax is the last bulwark our society has in defense of a democratic society. It is not sufficient when it can be so easily defeated by just a handful of billionaires. In his book, Capitalism in the 21st Century, Thomas Piketty takes on these issues directly and in great detail. Among his conclusions is that the march towards wealth inequality can only quicken over time without significant democratic controls. 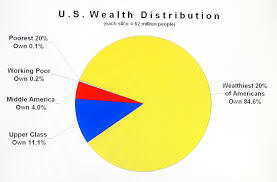 His primary suggestion is a global, progressive tax on wealth ownership. The barriers to establishing that are formidable, as he discusses in his book. But the greatest obstacle to any social intervention to save our freedom and self-governance is our failure to even recognize the threat that billionaires and wealth inequality pose to our future.